Agilent Technologies has released new integrated attenuation control units operating in the DC to 6, 18 and 26.5 GHz frequency range. The instruments feature up to 121 dB of attenuation with selectable step values and a programmable attenuation sweep function that enables user-defined sweep time, attenuation values and number of cycles. With this functionality, Agilent Technologies’ new LXI-compliant instruments are ideal for R&D and manufacturing engineers in wireless communications tasked with designing, validating, and manufacturing WiMAX and WLAN components, as well as for mobile handset base transceiver station (BTS) handover test. Agilent Technologies’ J7211A/B/C attenuation control units provide ease-of-use in benchtop applications and greater efficiency and throughput in ATE testing applications. The unique attenuation sweep function allows the user to set the desired start/stop attenuation, step size, dwell time and sweep time of each measurement based on specific application requirements. This capability is especially useful for simulating BTS fading in mobile handset handover test. The J7211A/B/C attenuation control units feature less than 0.03 dB insertion loss repeatability per section over their entire 5-million life cycle. As a result, users realize a significant reduction in the cost of ownership of the test equipment. 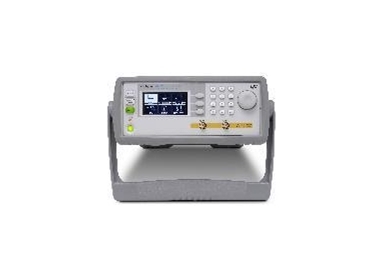 The 0.03 dB insertion loss repeatability reduces the source of random errors which, in turn, improves measurement accuracy over the entire operating life of the instrument. Designed in a half-rack, two-unit high form factor, the Agilent J7211A/B/C attenuation control unit features functionality that is easily accessible via soft keys and a front-panel rotary knob. LXI Class C compliance provides LAN connectivity, making it easy to remotely control and trigger the instruments through a graphical Web interface. The multiple connectivity capability also includes GPIB and USB, so the attenuation control unit can be quickly set up and easily integrated into any benchtop or ATE solution. The Agilent J7211A/B/C attenuation control units operating from DC to 6, 18 and 26.5 GHz, respectively, are now available.